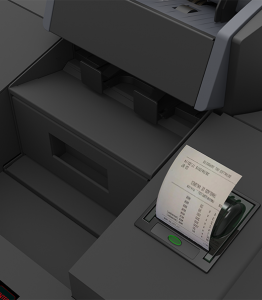 Network based solution with latest technology brings innovation in day to day cash processing at your retail location. 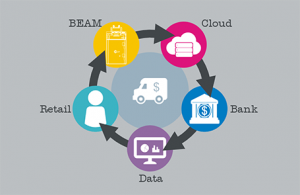 Together with Cloud solution makes daily cash information available across single or multiple locations. Complete and immediate cash activities reporting allows maximization of cash flow and reduce cash shrinkage. User Friendly – Ergonomic touch screen display with graphic GUI design. 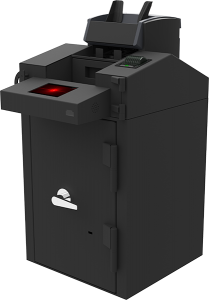 Accurate – Banknote Deposit Module from latest technology. Efficient – Direct depositing software insures depositing of funds in real time to clients account. Capable of handling banknotes in mixed denomination and escrow. 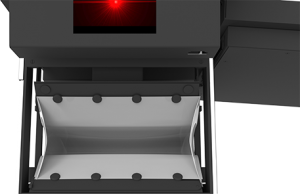 Fast – Latest technology used in deposit systems, over 600 notes per minute.